Information Collection and use In order to purchase from www.IndianWeddingStore.com, a user have to provide some basic required information to process orders include: name, email address, street address, and phone number. This information is essential for customer's orders to be processed and delivered. It is optional for users to give information such as: gender, product interests, etc. 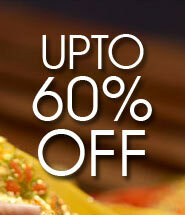 This information is used by IndianWeddingStore.com to better serve and protects its valued customers. Cookies a cookie is a piece of data stored on the user's hard drive containing information about the user. Usage of a cookie is in no way linked to any personally identifiable information while on our site. Once the user closes their browser, the cookie simply terminates. For instance, by setting a cookie on our site, the user would not have to log in a password more than once, thereby saving time while on our site. If a user rejects the cookie, they may still use our site. The only drawback to this is that the user will be limited in some areas of our site. For example, the user will not be able to participate in any of our Sweepstakes, Contests or monthly Drawings that take place. Cookies can also enable us to track and target the interests of our users to enhance the experience on our site. Log Files We use IP addresses to analyze trends, administer the site, track user's movement, and gather broad demographic information for aggregate use. IP addresses are not linked to personally identifiable information. Please note that the access logs collected for IndianWeddingStore.com contain more information than just IP addresses. They also let us know what operating system/Internet browser you use and what pages on our site you have viewed. As with your IP address, this information is not linked to personally identifiable information and is used in aggregate to ensure the functionality of the site for our visitors. Links this web site contains links to other sites. Please be aware that we IndianWeddingStore.com is not responsible for the privacy practices of such other sites. We encourage our users to be aware when they leave our site and to read the privacy statements of each and every web site that collects personally identifiable information. This privacy statement applies solely to information collected by this website. Newsletter if a user wishes to subscribe to our newsletter, we only ask for email address. Surveys & Contests From time-to-time our site requests information from users via surveys or contests. Participation in these surveys or contests is completely voluntary and the user therefore has a choice whether or not to disclose this information. Information requested may include contact information (such as name and shipping address), and demographic information (such as zip code, age level). Contact information will be used to notify the winners and award prizes. Survey information will be used for purposes of monitoring or improving the use and satisfaction of this site. Tell-A-Friend If a user elects to use our referral service for informing a friend about our site, we ask them for the friend's name and email address. IndianWeddingStore.com will automatically send the friend a one-time email inviting them to visit the site. IndianWeddingStore.com uses this information for the sole purpose of sending this one-time email and the information is not stored thereafter. Supplementation of Information In order for this website to properly fulfill its obligation to our customers, it is necessary for us to supplement the information we receive with information from 3rd party sources. We use this information to ensure that the data we have is as up-to-date as possible. Special Offers we send all new members a welcoming email. Established members will occasionally receive information on products, services, special deals, and a newsletter. Out of respect for the privacy of our users we present the option to not receive these types of communications when registering. Correction/Updating Personal Information If a user's personally identifiable information changes (such as your zip code), or if a user no longer desires our service, we will endeavor to provide a way to correct, update or remove that user's personal data provided to us. This can usually be done at the My Account page or by emailing our Customer Support department (care@indianweddingstore.com). Choice/Opt-out our users are given the opportunity to 'opt-out' of having their information used for purposes not directly related to our site at the point where we ask for the information. For example, our registration form has an 'opt-out' mechanism so users who buy a product from us, but don't want any marketing material, can keep their email address off of our lists.